In this tempestuous election year, having our voices heard is more important than, perhaps, ever before. Chicago's bar community is aiding in that effort with Out of the Bars and Into the Streets, an organized effort to get people together to talk, to dance, and, most importantly, to vote. This first-of-its-kind event, presented by Chicago Votes and Organized Grime Crew, will begin at noon, Saturday, November 5, gathering at Replay, 3439 N. Halsted St. in Boystown. At 1 p.m., there will be a march from Replay to the polling facility at Merlo Branch Chicago Public Library, 644 W. Belmont Ave. An afterparty will be held at 3 p.m. at Hydrate, 3458 N. Halsted St., with DJs Harry Cross and Cindel. "Political realness" looks are encouraged for the entire event. The event derives its name from a quote by instrumental gay politician Harvey Milk and is being organized by Derek Elliott Bagley, development director of Chicago Votes, a local non-profit tasked with registering, educating, and activating young voters across Chicagoland. "Our community has a history of marching for our rights," states Bagley. "It has been our greatest tool to make our presence known in the public arena. After the unprecedented tragedy at Pulse Orlando this summer, it is clear that our visibility is key to ensuring our ability to be who we are this election year. We encourage all peoplequeers and allies aliketo join us in this effort as we stand our ground for our rights." 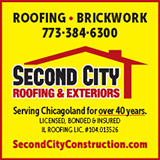 Windy City Times is a proud sponsor of this event.